The lower house of the Indian parliament has passed a new Companies Bill that requires companies above a certain size to ensure that they spend at least 2 percent of annual profits on corporate social responsibility (CSR) activities. The upper house of the parliament is likely to pass the bill into law soon. Ernst & Young, the audit and advisory company, estimates that the law would cover about 3,000 companies in India and about $2 billion of expenditures on CSR activities. Looked at from the perspective of the political right, and the left, and the center, the proposed law is a really bad idea. The proposed law can be attacked on the basis of pragmatism as being ineffective. The concept of CSR is controversial and experts do not even agree on how to define it. However, both the critics and enthusiasts agree that CSR is voluntary by its nature. The confused proposal will mandate that companies act voluntarily! 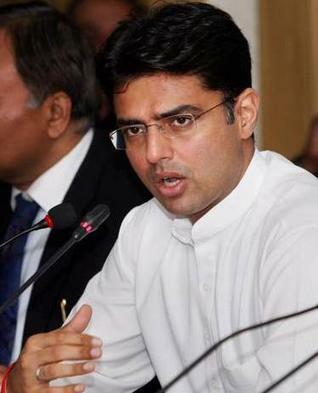 Sachin Pilot, India’s union minister of State for Corporate Affairs, said the aim of the proposed law was to encourage “firms to undertake social welfare voluntarily instead of imposing that through ’inspector raj’ and make India an attractive and safe investment destination.” There, of course, is nothing voluntary about this. Continuing in a contradictory manner, Pilot also said that India would become the first country to mandate CSR through a statutory provision. Mandatory CSR is inherently contradictory. CSR is fundamentally an inspirational exercise, and it is very difficult to legislate aspirations. The proposed law does not even discuss, let alone define, an enforcement mechanism and penalties for non-compliance. The proposal will be an enforcement nightmare, exacerbating an already bad situation where many laws are poorly enforced in India, further undermining respect for law. Curiously, the proposal even includes a loophole. If the 2 percent allocation is not made in a given fiscal year, the CSR committee has to submit an explanation to avoid being penalized. There is no discussion of what explanations would be legally valid, opening up much room for corruption and extortion. Given the controversy surrounding the concept of CSR, it is not surprising that the proposed law does not define CSR for the purposes of expenditures. The proposal only lists a few genres of CSR activities: “eradicating extreme hunger and poverty,” “promotion of education,” and “ensuring environmental sustainability.” This is much too vague to be a legal definition. A mandatory expenditure is a tax. The proposed law essentially imposes an additional 2 percent tax on companies covered by the bill. This is a back-door way to increase corporate taxes without a transparent political debate. The corporate tax rate in India at 32.45 percent is already one of the highest, compared to a global average of 24.09 percent; China, Vietnam and Indonesia are all at 25 percent, Thailand and Turkey at 20 percent, South Africa 28 percent, and Nigeria 30 percent; but Brazil is higher at 34 percent. Increasing the corporate tax rate will certainly not lead to making India a more ’attractive investment destination,’ as Pilot wants. Given the emphasis on economic liberalization and economic growth, it is unlikely the Indian polity desires an increase in the corporate tax rate. India has been doing well under its liberal economic regime, especially in the last decade, and has been one of the fastest growing economies in the world. While inequality is a major problem, even the poor have benefitted from the economic growth, and millions of people have risen out of poverty to join the emerging middle class. This increase in government regulation and taxation is bound to make India less attractive to foreign investors and large national companies. The proposed law, and the implicit tax, will put India at a competitive disadvantage in the global marketplace and slow its growth rate. While India has experienced rapid economic growth, the benefits of this growth have not been distributed equitably. Inequality, which was already high, has increased even further. For example, about 50 percent of children in India are malnourished. Trickle down economics is not working. The proposed law does not go far enough in reducing inequality and helping the disadvantaged. Without a coercive enforcement mechanism it is unlikely that the law will result in widespread compliance. In other words, “mandatory” CSR will remain largely voluntary. There are many activities that companies undertake that are profitable and simultaneously good for society. Companies would undertake these activities regardless of the law since they are profitable activities. Under the new law they will be able to classify these activities as CSR with no real change in social welfare. Would a corporate training program qualify as “promotion of education?” Would making a profitable investment in an energy efficient machine qualify as “ensuring environmental sustainability,” even if the firm made that investment on purely financial grounds? This is what is often derisively referred to as “greenwashing.” The proposed law will increase greenwashing with no real increase in green activities. Even to the extent that there is a real increase in socially beneficial activities, the spending will not go to democratically determined priorities but rather to what the companies prefer to emphasize. It is the government’s responsibility to determine high priority needs of society and target public expenditures in these areas. With the proposed law, the government is abdicating one of its primary functions. It would be preferable for the government to impose a tax on companies and use the additional funds to provide public goods and reduce inequality in a systematic and democratic manner. If the proposed bill passes, India will be the first country to mandate CSR expenditures. There is sound logic – from the left, right and center – why other countries have not done this, and neither should India. Aneel Karnani is an associate professor of strategy with the Ross School of Business at the University of Michigan. His research focuses on strategies for growth, emerging economies, and the role of business in society.